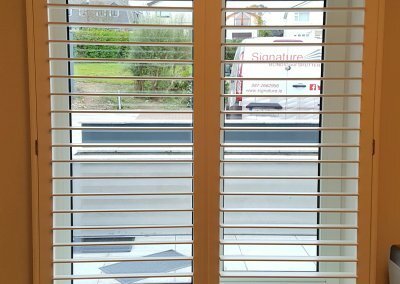 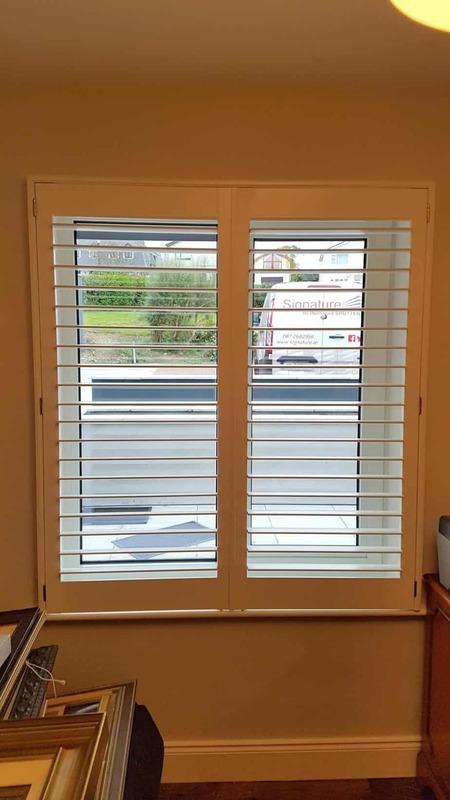 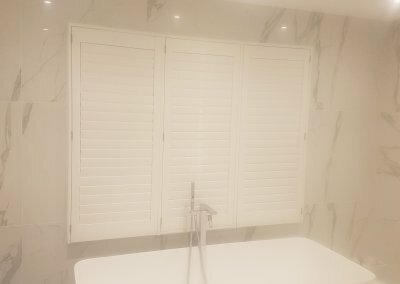 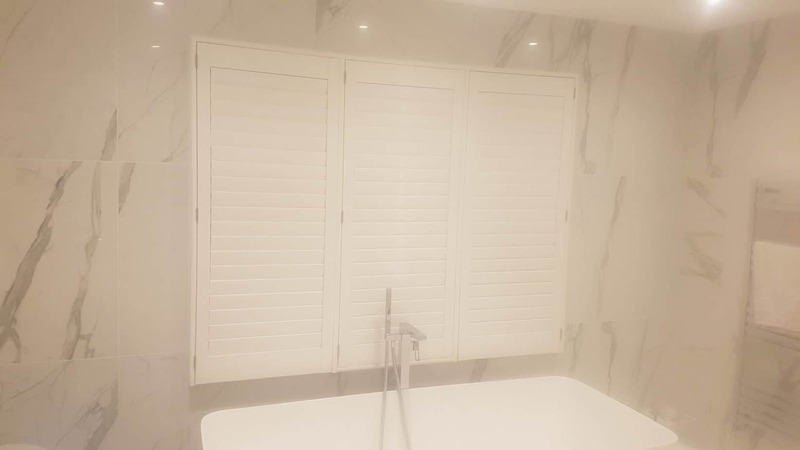 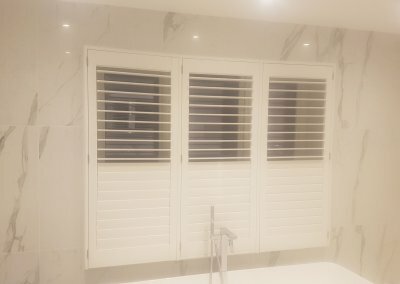 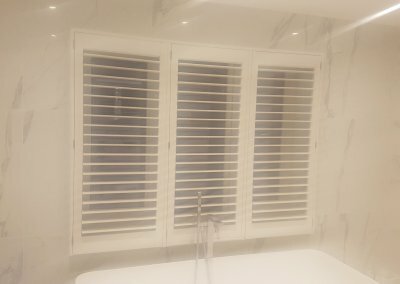 Plantation Shutters installed in Howth, County Dublin. 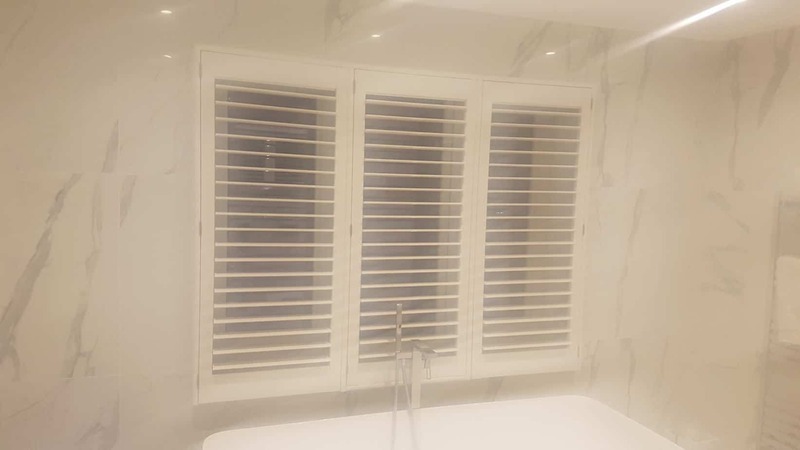 Plantation Shutters installed in Howth, County Dublin. 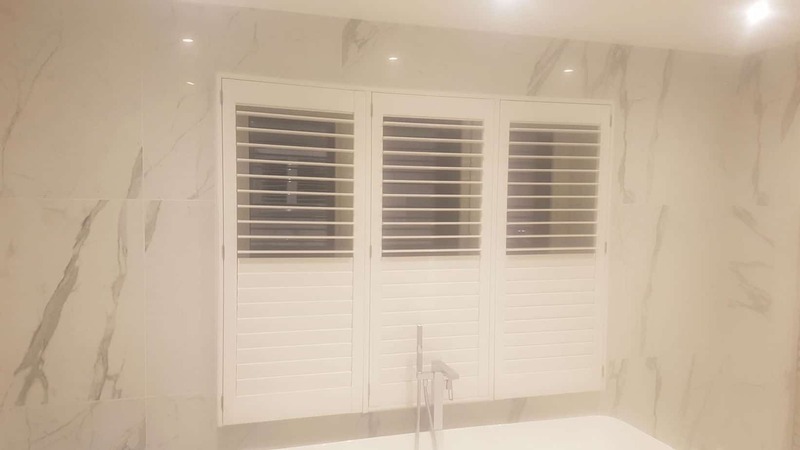 One large shutter in the bathroom is made from PVC material which is perfect for the bathrooms because of it’s ability to resist moisture. 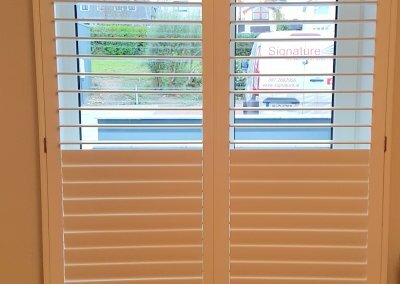 Unlike Wood or MDF, PVC will not warp and will last you considerably longer than the other two materials. 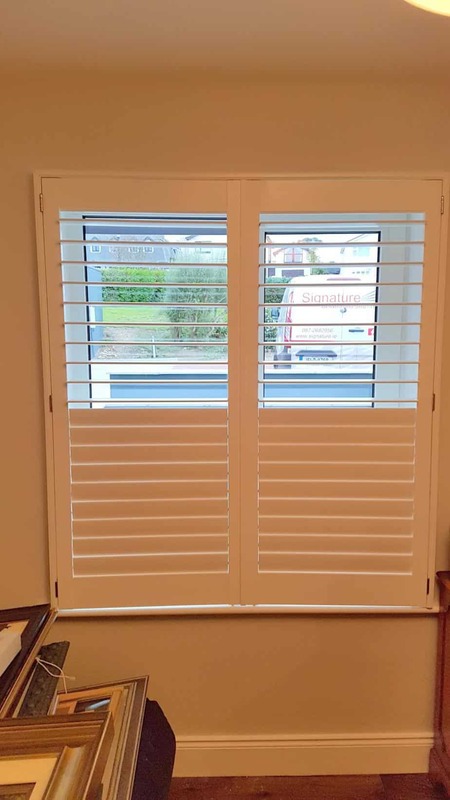 This shutter also comes with a hidden tilt and a split tilt which allows you to have one part of the shutter closed while keeping the other part open. 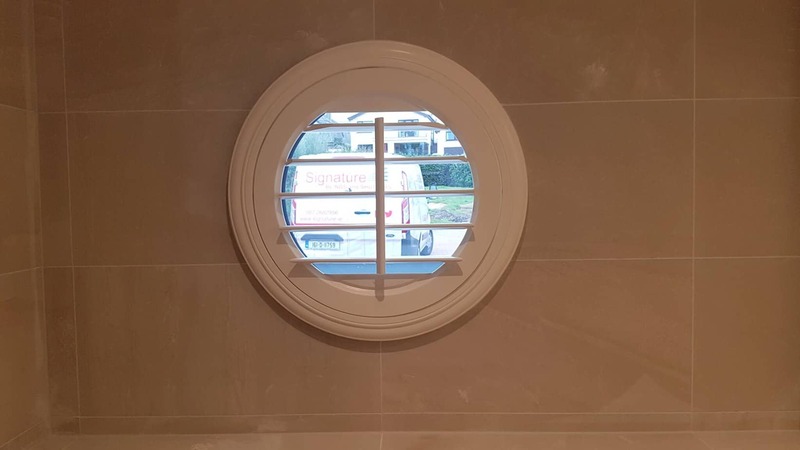 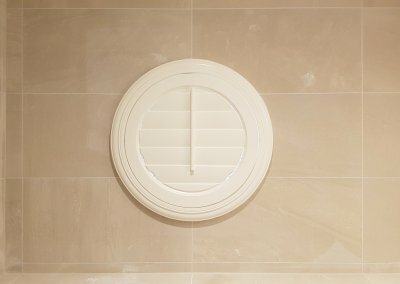 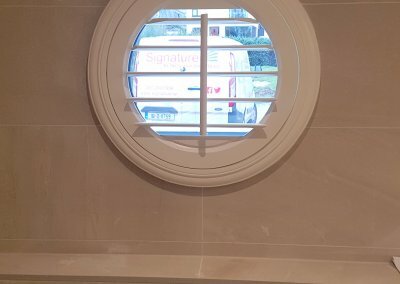 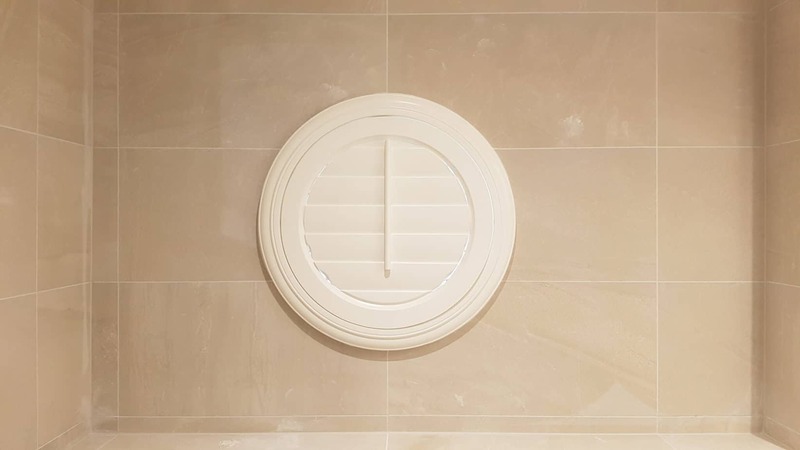 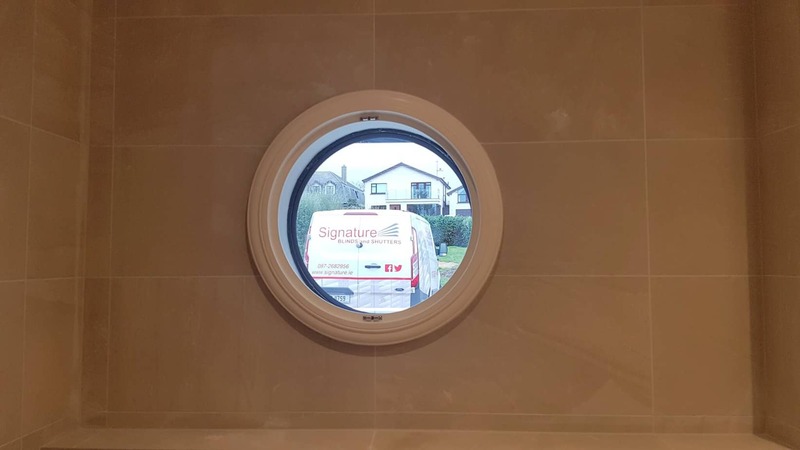 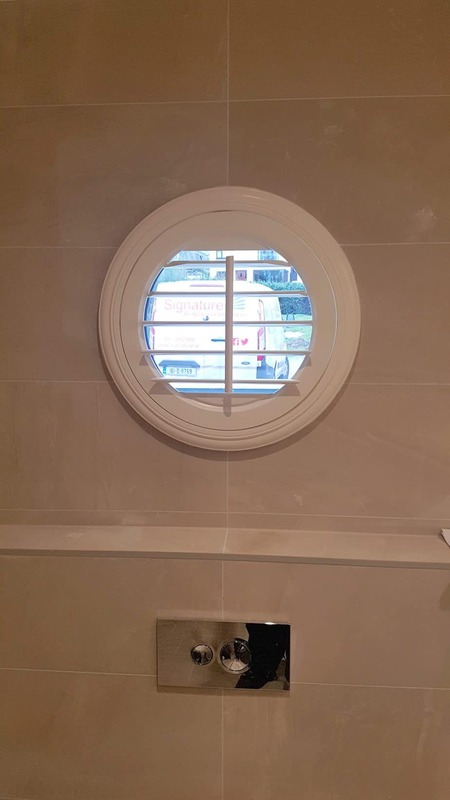 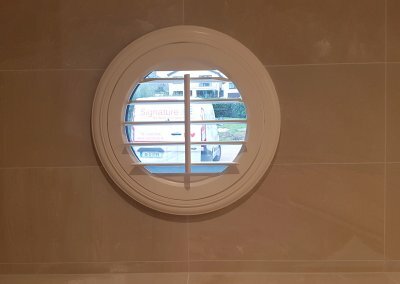 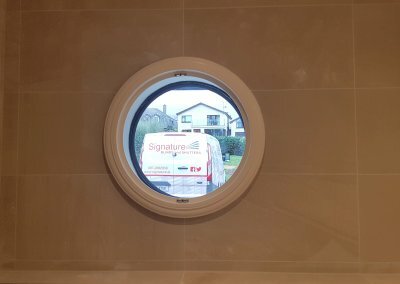 The small circular window looks great and we think having a shutter will really help you highlight it.